I don’t think it could be more CAS! 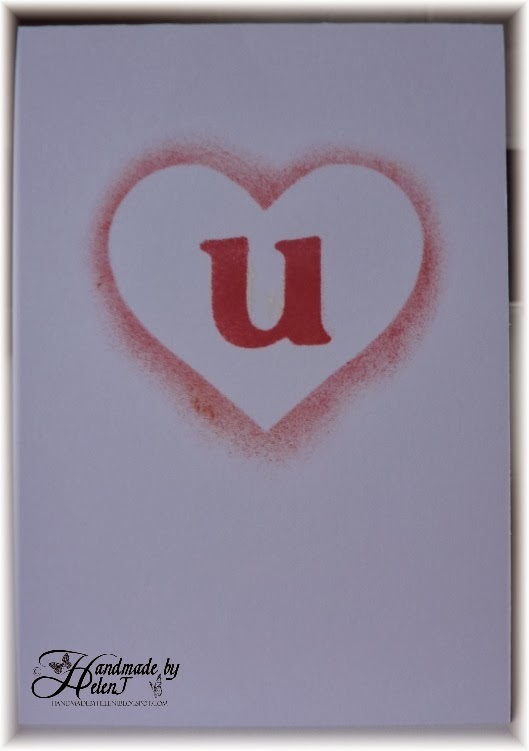 I cut a heart out on my Sizzix Eclips, and the U out of the middle of it in Cafe Rojo font which is my “go-to” font for cutting machines. The inking & sponging was all done with Memento Rhubarb Stalk ink. I’m entering this into the challenge at Addicted to CAS where the theme is Love.
. . . a Valentine’s card for my husband. At least, that’s what I intended it to be but now it’s finished I’m not so sure – it’s a bit too girly for him so I might have to think again. Anyway, this was inspired by the challenge over at CASology where the cue card is “And”. 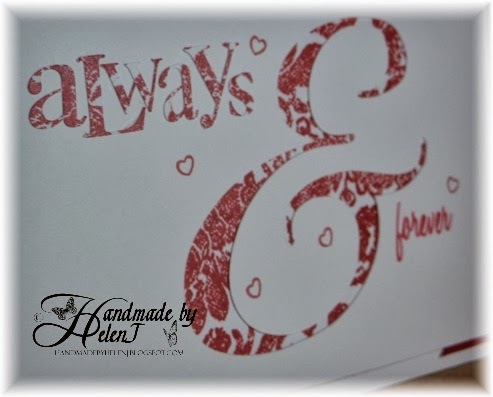 I racked my brains for a while & as my husband often bursts into song when prompted by something we say (and they’re usually songs from the 70s/80s) I eventually thought of Luther Vandross’ song “Always & Forever”. I’ve also decided to enter it into Challenge #3 – Use Monochromatic Pink – at the Card Concept. 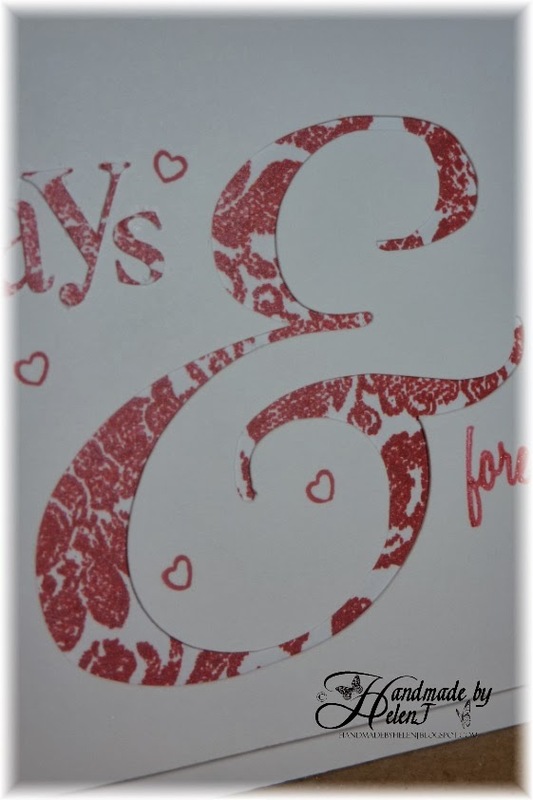 The ampersand was cut out on my Sizzix Eclips; I can’t remember which font I used but I tweaked it a bit anyway to make sure the cuts weren’t too narrow. I backed this with a backing paper I made myself a while ago from a background stamp, inked with Brilliance Pearlescent Poppy. The “Always” was cut from the same paper on my Eclips. The letters were so small I lost the w for a while! 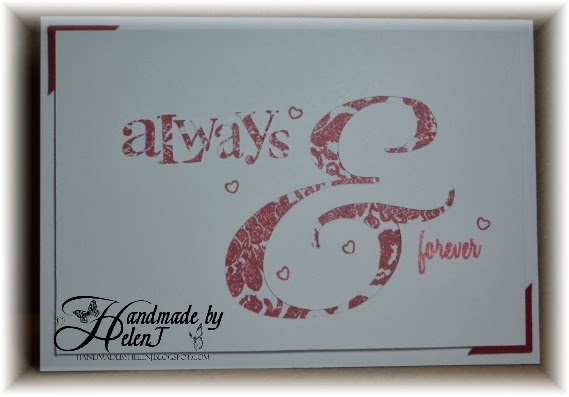 The “forever” was written using a Stardust pen, again on my Eclips, as I’d just bought the pen holder & wanted to try it out. 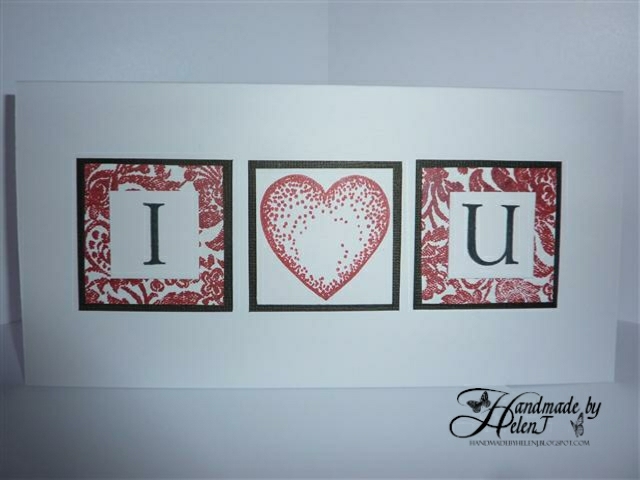 I finished the card off with a tiny heart stamp inked with Memento Rhubarb Stalk. I had intended to mount the finished piece onto a piece of red card but messed up the cutting & had no more red card – hence the two corner pieces instead.